Chronaki, A., Adams, G., Andrade-Molina, M., Bruno, G., Demissie, F., Marcone, R., Parra, A., Povey, H., Swanson, D., Valero, P. & Yolcu, A. (2019). Unfolding global/local policies, practices and/or hybrids in mathematics education worldwide: Utopias, pleasures, pressures and conflicts. In J. Subramanian (Ed.) Proceedings of the tenth International Mathematics Education and Society Conference. Hyderabad: University of Hyderabad. Andrade-Molina, M., Valero, P. (2019). News, Media(s) and the Shaping of Mathematics Education. Canadian Journal of Science, Mathematics and Technology Education, 19(1), 77-81. Andrade–Molina, M. (2018). OECD’s dominant discourses of the low-performer and the production of subjects. Reflexão e Ação, 26(2), 9–26. Andrade–Molina, M. (2018). “Mindniac”. The reasonable citizen of schooling (Chilean Edition). The Mathematics Enthusiast, 15(1), 36–53. Andrade–Molina, M., Díaz Moreno, L. (2018). Assessing visualization: An analysis of Chilean teachers’ guidelines. In D. Thompson, M. Burton, A. Cusi, D. Wright (Eds.) Classroom Assessment in Mathematics: Perspectives from around the globe (pp. 179– 191). Cham: Springer International Publishing. Andrade–Molina, M., Valero, P., Ravn, O. (2018). The amalgam of faith and reason: Euclid’s Elements and the scientific thinker. In P. Ernest & L. Kvasz (Eds.) The philosophy of Mathematics Education Today. Cham: Springer International Publishing. Andrade–Molina, M. (2017). The adventure of the deceitful numbers. Journal of Pedagogy, 8(2), 9-25. Andrade–Molina, M. (2017). The Fabrication of Qualified Citizens: From the “Expert-Hand Worker” to the “Scientific Minded”. Perspectivas da Educação Matemática, 10(22), 29- 44. Andrade–Molina, M. (2017). (D)effecting the child: The scientifization of the self through school mathematics. Published doctoral dissertation. Aalborg: Aalborg University Press. ISBN: 978-87-7112-986-1. ISSN: 2446-1636. Andrade–Molina, M. (2017). Incepted neoliberal dreams in school mathematics and the ‘Chilean experience’. In T. Dooley, & G. Gueudet, (Eds.). Proceedings of the tenth Congress of European Research in Mathematics Education (CERME10) (pp. 1470– 1477). Dublin, Ireland: DCU Institute of Education and ERME. Andrade–Molina, M. (2017). Be the best version of yourself! OECD’s promises of welfare through school mathematics. In A. Chronaki (Ed.) Proceedings of the ninth International Mathematics Education and Society Conference (pp. 393-400). Volos: University of Thessaly Press. Andrade–Molina, M., Valero, P. (2017). The effects of school geometry in the shaping of a desired child. In H. Straehler–Pohl, N. Bohlmann, & A. Pais (Eds.) The disorder of mathematics education–Challenging the socio-political dimensions of research (pp. 251- 270). Cham: Springer International Publishing. Andrade–Molina, M., Ravn, O. (2016). The Euclidean tradition as a paradigm for scientific thinking. Philosophy of Mathematics Education Journal, 30. Valero, P., Andrade–Molina, M., Montecino, A. (2015). Lo político en la educación matemática: De la educación matemática crítica a la política cultural de la educación matemática. Revista Latinoamericana de Investigación en Matemática Educativa, 18(3), 287-300. Andrade–Molina, M., Montecino, A., Parra, A. Valero, P. (2015). Insubordinated Psychopathologies. In B. D’Ambrosio & C. Lopes (Eds.) Creative Insubordination in Brazilian Mathematics Education Research. NC: Lulu Press. Andrade–Molina, M., Valero, P. (2015). Shaping a scientific self: A circulating truth within social discourse. In S. Mukhopadhyay, & B. Greer (Eds.) Proceedings of the eight International Mathematics Education and Society Conference (pp. 284–297). Oregon: Ooligan Press, Portland State University. Andrade–Molina, M. (2015). 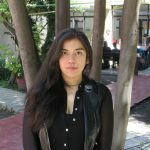 Geometría escolar: Una batalla entre percepción versus lógica y razonamiento. In Memorias de la XIV Conferencia Interamericana de Educación Matemática (CIAEM XIV). Chiapas, México. Andrade–Molina, M., Valero, P. (2015). The sightless eyes of reason: Scientific objectivism and school geometry. In K. Krainer, & N. Vondrová (Eds.) Proceedings of the ninth Congress of European Research in Mathematics Education (pp. 1551–1557). Prague: Charles University in Prague, Faculty of Education and ERME. Andrade, M., Cantoral, R. (2013). Sobre las habilidades espaciales y la dimension sociocultural del aprendizaje de ‘lo geométrico’. In Acta Latinoamericana de Matemática Educativa 26 (pp. 1123–1132). RELME 26, Belo Horizonte, Brasil. Andrade, M., Montecino, A. (2013). Conversión de registros en el cálculo integral: La problemática de los sólidos de revolución. In Acta Latinoamericana de Matemática Educativa 26 (pp. 473–480). RELME 26, Belo Horizonte, Brasil. Montecino, A., Andrade, M. (2013). La visualización espacial como herramienta en el entendimiento de lo tridimensional. In Acta Latinoamericana de Matemática Educativa 26 (pp. 418-488). RELME 26, Belo Horizonte, Brasil. Andrade, M., Montecino, A. (2011). La problemática de la tridimensionalidad y su representación en el plano. In Memorias de la XIII Conferencia Interamericana de Educación Matemática (CIAEM XIII). Recife, Brasil. Andrade, M., Montecino, A. (2011). Llenado de recipientes. Una situación de transformación de comportamientos lineales. In Memorias de la XIII Conferencia Interamericana de Educación Matemática (CIAEM XIII). Recife, Brasil.